Yesterday was yet another Diagnosis Day for our family. We've given the occasion and day a name, because ultimately, no matter what else happens during the appointment or day, good or bad, what's remembered most is the diagnosis and all of the emotions and body reactions afterwards. I used to think that you could prepare yourself for Diagnosis Day. If you knew what was coming, had done all of your homework, and at times even be excited about finally receiving answers, then when the diagnosis came, it'd all be okay. After all, it's only a doctor confirming what you already knew. But then somehow the words sound so different coming from someone else's mouth. I still don't know why a diagnosis spoken aloud by a doctor takes my breath away, but it does. Every. Single. Time. The weight of what's said may not register at that moment, and most often I do keep my composure, but there's still that struggle to breathe for at least a second. But, what's worse is receiving the official take home report and reading it for the first time. Usually this happens in the car on the way home from the appointment. That's when I feel as if I've been punched in the stomach HARD. Who knew a few typed words on a sheet of paper could hurt so much? But then again, I should have known, from the last time, and the time before that. It never does get easier. The goal for the day is to hold it together until the kids go to bed. Sometimes it works. Sometimes it doesn't. When they are asleep, it's time for the "Triple Trio of Death" as my husband calls it. It's a combination of store bought Donut Holes, a pint of Ben & Jerry's Chubby Hubby ice cream, and a package of Munchies Snack Mix Cheese Fix. I promise I don't eat it all myself. My husband helps, and sometimes Dinomite and Bulldozer help as well. The combo is called the "Triple Trio of Death" because I'm lactose intolerant and have no gallbladder. When I eat these things, especially all at once, I really do feel like death the next morning. It's amazing how my body responds to Diagnosis Day. It's as if making myself sick is warranted in order to feel better. How twisted is that? The final piece to Diagnosis Day is an action movie. Usually there must be car chases, bad guys, and some crazy plot, with a lot of things blowing up. Episodes of the show Burn Notice seems to be my favorite at the moment. I don't know why it makes me feel better, but it does. If that doesn't work, I switch to medical dramas like Grey's Anatomy, because they're the only thing I can think of that's worse than what we're having to deal with. And of course I can't forget all of the crying. I can usually wait until the kids are asleep. But whether I like it or not, I cry A LOT. Why does receiving a diagnosis have to be so sad, and so painful? There are times when a diagnosis in our family has actually been a good thing. It's brought relief and support, but no matter how "good" it is, there's still bereavement. I've learned there are even phases related to my crying. First I cry about the diagnosis in general, and whichever child has received it. Then I cry about what the diagnosis means for me. Next comes crying about what the diagnosis means for other family members. Lastly, I cry about what the diagnosis means for our family's future. By that point, there are usually no more tears left to cry. 1. A diagnosis is what you make it out to be. 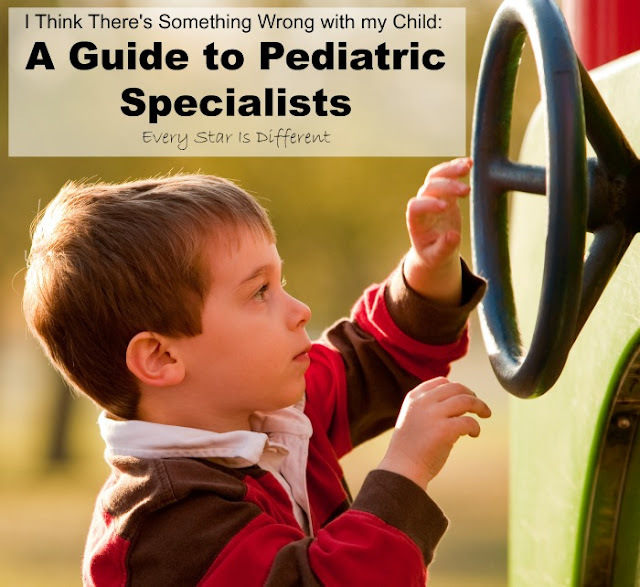 Your child does not know a diagnosis is a negative thing on their own. It is a learned thought process. A diagnosis is only a negative thing to us because society has made it that way. But in truth, everyone has something. You may not be able to see it. They may not talk about it. But it's there. I promise. 2. A diagnosis can change. Doctors and specialists are great at what they do, but they can't predict the future, especially in regards to the body and/or development. If you continue appointments and services, there may be a day when the diagnosis changes, or is taken away all together. It may also be permanent in some cases, but treatment may change and opportunities may change. 3. A diagnosis is an explanation, NOT a "label." You've wondered and worried for so long, why things are the way they are, pleading for help and understanding. Now you have your answer, and with that comes support and assistance. 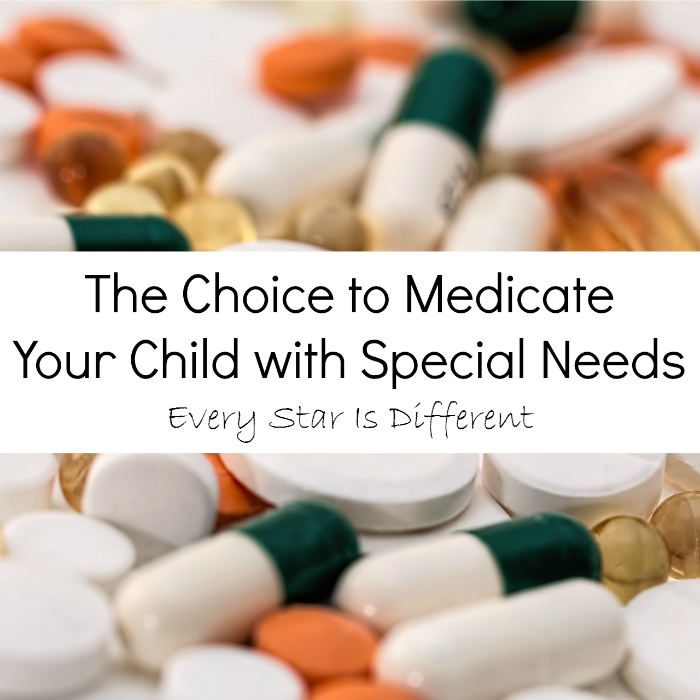 The "label" may be written on forms when your child is young to assist with services, but that doesn't mean it will be used forever. As an adult they will choose what they share with friends, co-workers, and bosses. What may be necessary now, may not be later. 4. A diagnosis is not an automatic death sentence, whether it be physical, developmental or emotional. Attempting to see the future can be dangerous because so much can happen along the way. When it comes to an autism diagnosis in particular, I always think of my husband. He has a master's degree and is a licensed mental health therapist. At the age of 20 he served a two year Spanish speaking mission for The Church of Jesus Christ of Latter-day Saints in Mexico. We have been married for ten years and are happier than ever. My husband is an amazing father to four beautiful children. And now he is my blogging partner. Yes he's worked hard to be where he is, but he did it. You have no idea what your child will be capable of. 5. 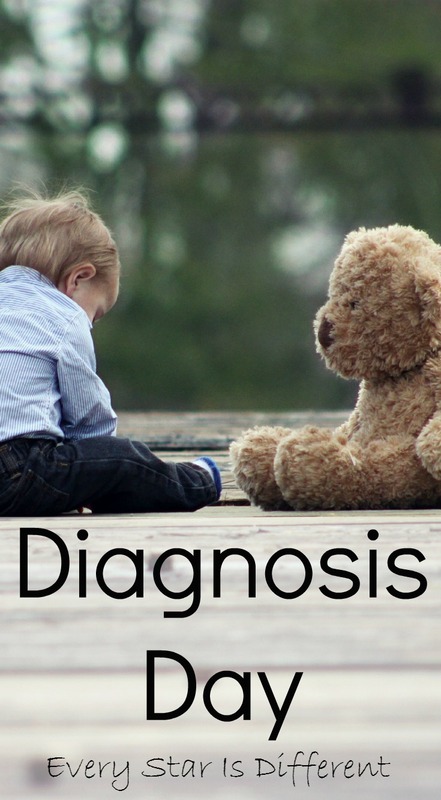 A diagnosis does not define your child. Nothing about her has changed from the time you entered the appointment to the time you left. The only difference is that you know now. 6. It could always be worse. There will always be another parent in another room receiving a diagnosis worse than you are in regards to your child. But still, even when we know these things, Diagnosis Day is still one of the hardest days of our lives as parents. So why go through it? After all, in most cases there is always a choice. I go through Diagnosis Day so I can find peace in knowing that I did EVERYTHING I possibly could to help my child. 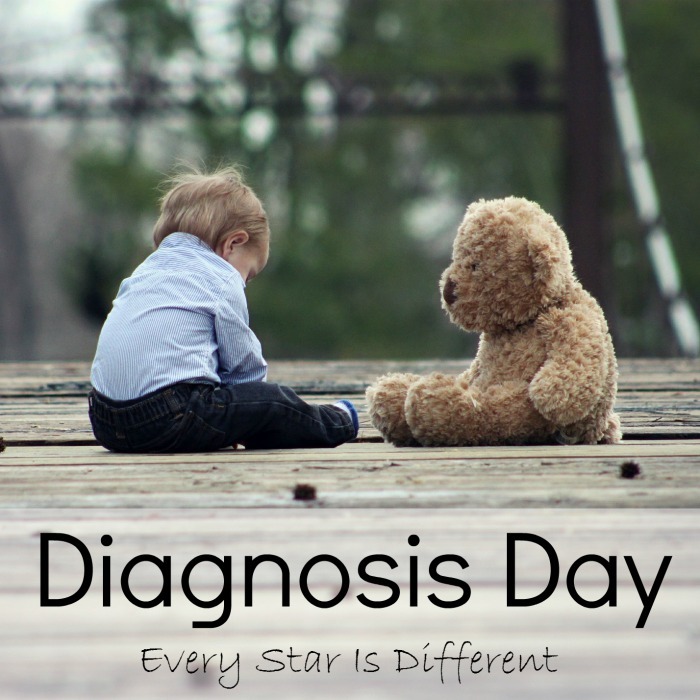 Diagnosis Day helps me eliminate the "what if's" of the future. I will know I did everything in my power to help my child be successful in every way because I sought out a diagnosis. No matter what happens on Diagnosis Day, I know I'm doing my best. And so even though I've cried a lot over the past 24 hours, and at times even been curled up in the fetal position with my eyes shut, my husband lying next to me for support, I made it through another Diagnosis Day. It's not fair. It's not okay. But I believe everything I've written in the post with every fiber of my being. We will do everything we can to help our children. We will fight for them. We will give them every chance of success possible, because after all, it's just another Diagnosis Day. If you enjoyed this post you may also enjoy the ones below. 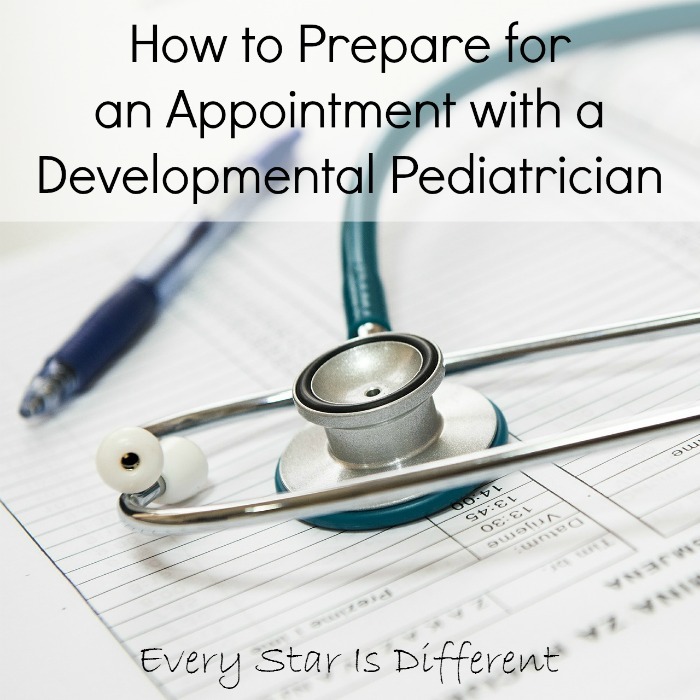 These are such reassuring and great tips for how to handle a new diagnosis with your child.